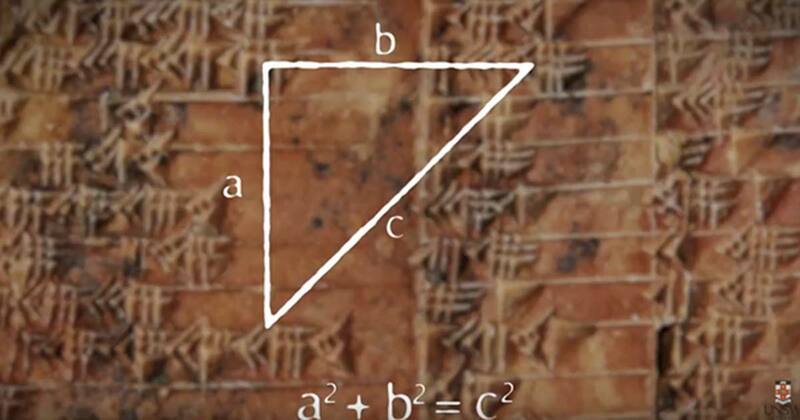 An unknown Babylonian mathematician beat Pythagoras to the discovery of trigonometry by more than 1000 years, claim experts studying the piece. That Babylonian genius marked down the famous theorem that is often associated with the Greek, along with other trigonometry tables, on a clay tablet now known as Plimpton 322. Scientists are now saying the content of the 3700-year-old tablet surpasses modern knowledge too. That Pythagoras wasn’t the first to realize the square of the longest side is always equal to the sum of the squares of the other two sides of a right-angled triangle is not news. The real mystery for the tablet has been the reason scribes put in the effort to sort and generate the numbers shown on the tablet. Dr. Mansfield and UNSW Associate Professor Dr. Norman Wildberger published their research in the journal Historia Mathematica . “A treasure-trove of Babylonian tablets exists, but only a fraction of them have been studied yet. The mathematical world is only waking up to the fact that this ancient but very sophisticated mathematical culture has much to teach us." The Plimpton 322 appears to be a very significant find with potential uses for our modern day society. A civilization which, not only created mathematics using a Base 60 system, but allowed them to achieve more accurate trigonometric results than todays Base 10 system is astounding. The contribution to better accuracy in surveying and enhanced computer graphics may be only the most obvious of the fields which can see benefits from a system with greater accuracy than is currently available. One can only wonder what types of problems they were able to solve with this ancient, but clearly superior system of mathematics? Read more about What Did Ancient Civilizations Believe Lay at The Edges of the Earth?